innisfree ambassador Lee Min Ho was in Singapore on Tuesday as part of the event held by innisfree Singapore to celebrate its first outlet in Singapore. Held at Pan Pacific Singapore, innisfree Festa saw fans from all over the world coming together to get upclose to their favourite idol who last appeared on the drama, The Heirs. With the popularity of the drama and the last episode being aired last week, it is no surprise that he managed to pull in a crowd of 2000 fans at the airport. Not only that, those who did not get tickets to the event, even waited outside the venue eagerly to get a glimpse of him. Hosted by Stephanie Carrington, the innisfree Festa started of with an appearance with a beauty expert flown from Korea. After waiting for an hour and being bombarded with countless of marketing and promotion videos, finally, the brand ambassador appeared. Loud screams and cheers followed by clicking sounds of the DSLR could be heard in the ballroom. Lee Min Ho posed for the cameras before making an opening speech. It is visible that he has changed tremendously. 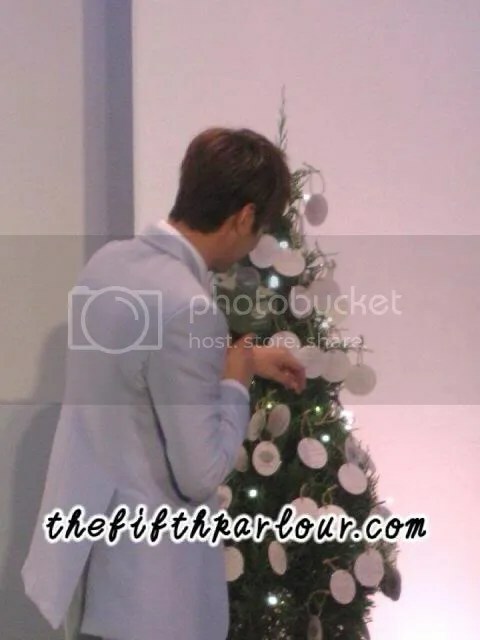 Away from his shy self, Lee Min Ho seemed to be at eased during the 30 minutes festa. It was then time to have some interaction with the fans. Before the event started, fans were asked to write down their questions. It was said that the best questions will be answered by the man himself. However, three random questions that were hang onto the Christmas tree were chosen. 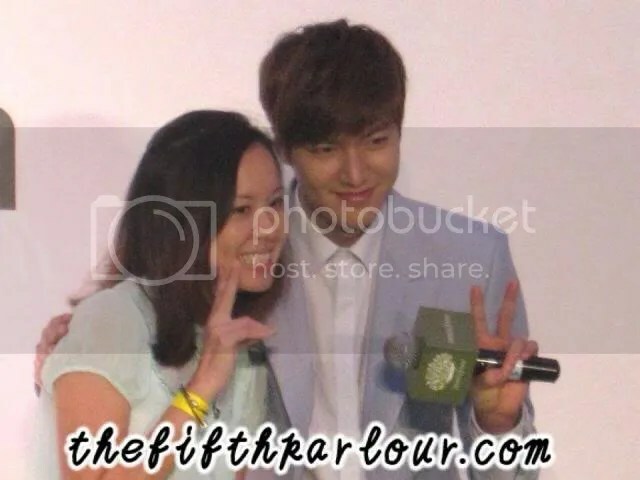 Those questions that were picked gave an opportunity to the fan to get a Polaroid picture with Lee Min Ho. It was really cute looking at how mesmerized the fans were when he answered their questions. One the fans even revealed that she had to look away because she was very nervous. 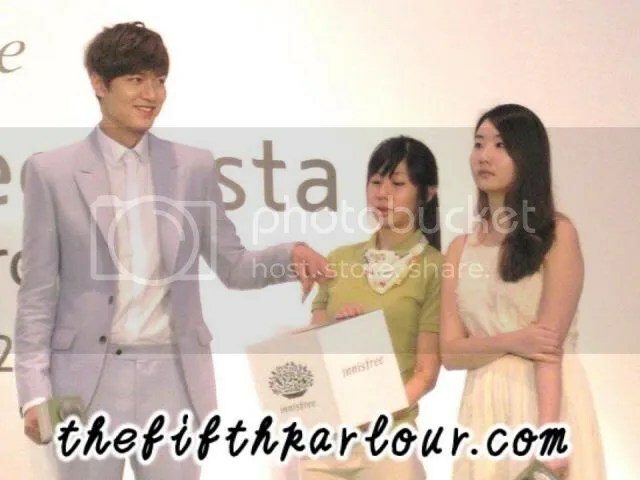 Five lucky fans were then picked randomly to win hand picked gifts that was chosen by Lee Min Ho. Their fate lies in the box which has their ticket’s tab. They also got the opportunity to take a group picture with him. The fans were then showed another video. This time, it was behind the scenes video of him filming the advertisement. At times, Lee Min Ho looked embarrassed looking at himself posing in the video. He then shared his experiences about being the ambassador and he loves how this company advocates protecting the environment. Before saying goodbye, Stephanie told everyone that it is selfie time. Fans grab this opportunity to squeeze in to get a picture taken with their favourite idol. Lee Min Ho then revealed that he miss being in Singapore and he is glad to see familiar faces. He is also thankful for all the support the fans have been giving him and especially on his recent drama. After waiting for 3 years for Lee Min Ho to come back to Singapore, these fans only managed to spend 30 minutes with their idol. The event ended abruptly leaving me in disbelief. Not only that the event started an hour late, it ended way too early. Nevertheless, it was great to see that Lee Min Ho has come out of his shell. He looks comfortable on stage and his body language proves it!